This is very simple. 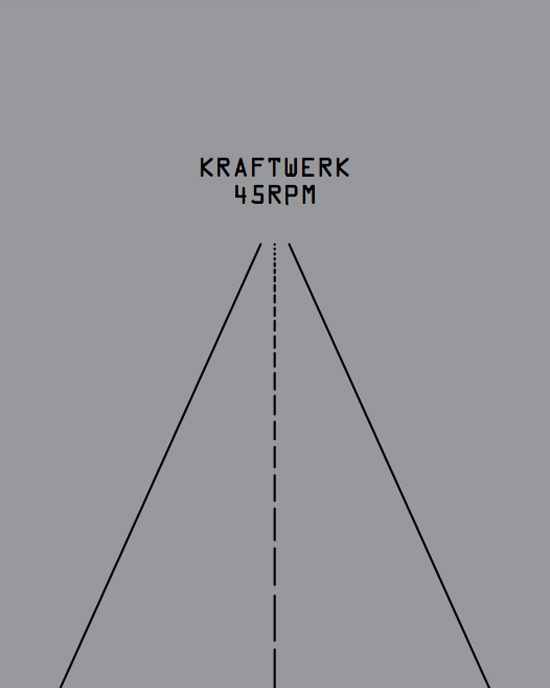 The word 'kraftwerk' means 'power plant' in the German language. It is said that in 2009 it was moved to Meerbusch, located just outside of Düsseldorf - it is still (April of 2017) also an official address. You can always find their company details at the official KlingKlang Konsum Produkt site. The fan website twingokraftwerk.com has a superb list to answer this question. From the year 2002, the official Kraftwerk site shows some information about the concerts (date, place, venue). Forums and mailing lists are good source of news about the band's activities, including concerts. It is a kind of concert series, live presentation of their complete repertoire. 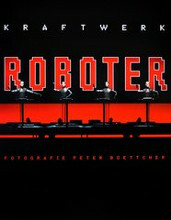 At first Kraftwerk played eight consecutive shows in April, 2012 in New York. All of the albums were presented from 1974 (Autobahn) to 2003 (Tour de France Soundtracks). One full album was performed live every night (previously lots of songs were never heard in live shows...), accompanied with 3D screening. Later, from 2013 to 2017, there were more concert series in Düsseldorf, London, Tokyo, Sydney, Los Angeles, Wien, Paris, Amsterdam, Copenhagen, Oslo, Bilbao, Antwerpen, Torino. You can see the list of these concert series at the official Kraftwerk site. See also the question 'When will Kraftwerk next go on tour?'. See more of the official Grammy site. - As a part of the 56th GRAMMY Awards in January of 2014, The Recording Academy presented a Special Merit Award to Kraftwerk for their contributions to the recording field. 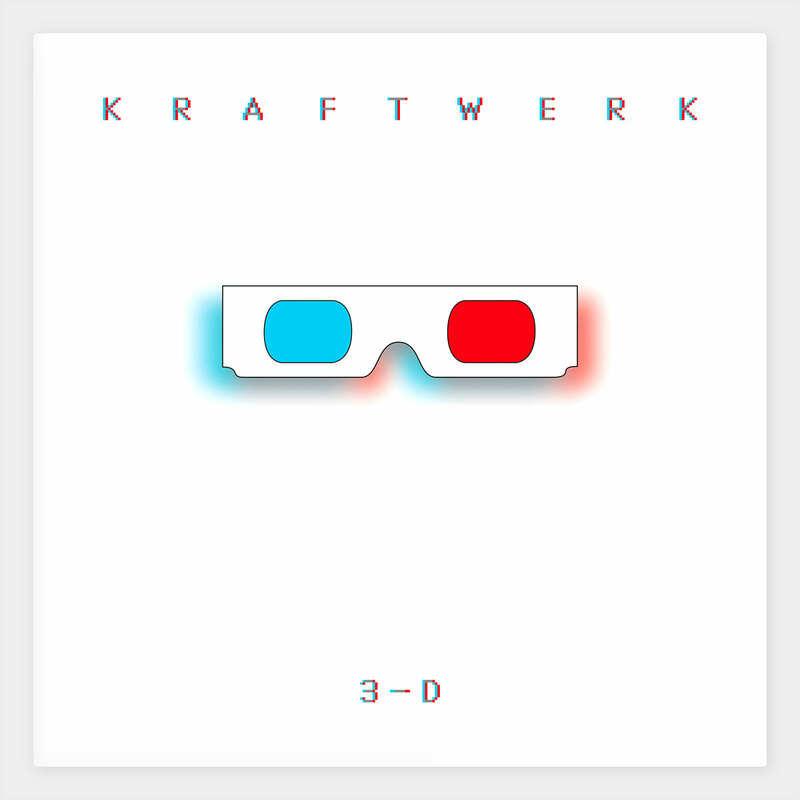 - In January of 2018, at the 60th GRAMMY Awards, Kraftwerk album '3-D The Catalogue' won the Best Dance/Electronic Album category for the year 2017. 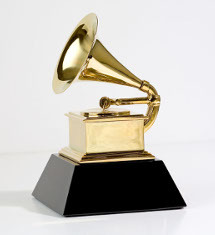 See the GRAMMY Hall of Fame List and the official press release. Some information about the Rock and Roll Hall of Fame. - Tschernobyl was a city in northern Ukraine, near the border with Belarus. It was evacuated in 1986 due to the Tschernobyl disaster. The Tschernobyl disaster was a nuclear reactor accident in the Tschernobyl Nuclear Power Plant in the Soviet Union. It is the worst nuclear power plant accident in history resulting in a severe release of radioactivity into the environment. - Harrisburg is the capital of the Commonwealth of Pennsylvania, one of the most industrialized cities in the northeastern part of USA. Harrisburg is also known for the infamous Three Mile Island incident. In 1979 'The Three Mile Island' accident was a partial core meltdown in Unit 2 of the nuclear power plant of the Three Mile Island Nuclear Generating Station near Harrisburg. It was the most significant accident in the history of the American commercial nuclear power generating industry. - Sellafield is a nuclear reprocessing plant situated in Cumbria, on the north west coast of England between Whitehaven and Seascale. It was formerly known as Windscale. 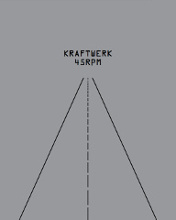 Kraftwerk played at a benefit concert organised by Greenpeace to protest against the plant. 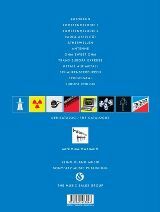 Extracts from the concert appear on the video Stop Sellafield - The Concert. - The Japanese city of Hiroshima was the primary target of the first nuclear bombing mission against the Empire of Japan in 6th August, 1945. - The Fukushima Daiichi nuclear disaster was a series of equipment failures, nuclear meltdowns, and releases of radioactive materials at the Fukushima I Nuclear Power Plant, following the Tōhoku earthquake and tsunami on 11 March 2011. It is the largest nuclear disaster since the Tschernobyl disaster of 1986. Kraftwerk performed one new song at Tribal Gathering. See the next question. In May 1997 Kraftwerk performed a new song in Luton, England (Tribal Gathering). This is the so called 'Tribal' or 'Luton', as named by fans. It was performed in 1997-1998 (known from fan reviews). 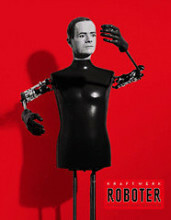 In October 1997 in addition to the song 'Luton' Kraftwerk performed 2 new songs in Linz, Austria. The beginning of the first song (the so called 'Tango') is the melody of the song Airwaves, originally released in 1975. 'Tango' was also performed later, in 1997-1998 and mainly in 2002-2003 (also known from fan reviews). The second song was played the first time in Linz and the last time in Karlsruhe. This 'two-time performed song' is the so called 'Lichthof'. Anyway, these songs might just be unfinished 'trial-products', works in progress of Kraftwerk. Official merchandise is available from the official KlingKlang Consum Produkt site. Items might also be available from other retailers. Catalog number BOE7429, ISBN 9783865433046. The Kling Klang Machine No1 is an interactive 24-hour music generator, released in March, 2011 for iPad / iPhone (iOS). You might find more at the developer's site. Released in 2011., October. 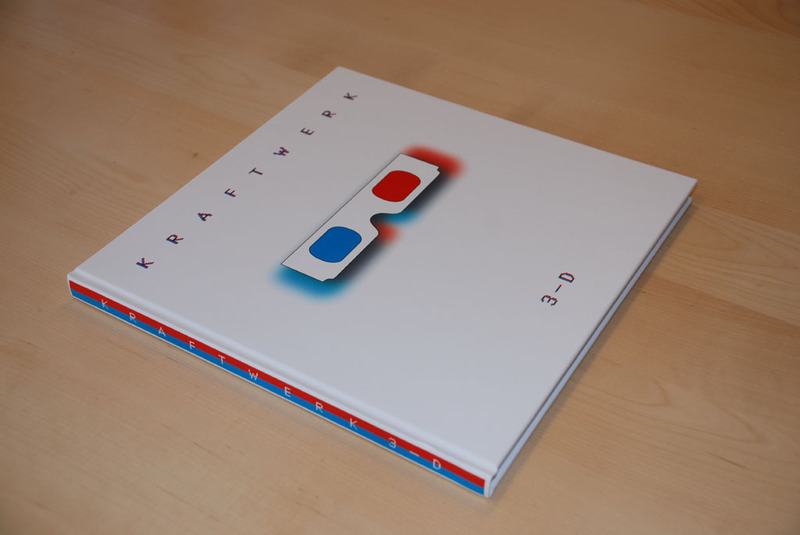 It contains 96 pages, 60 colour plates in 3D (red-cyan 'glasses' are included). Hardcover, 28x28cm. English and German edition. 3D graphics by Falk Grieffenhagen, Ralf Hütter, Stefan Pfaffe, Emil Schult. 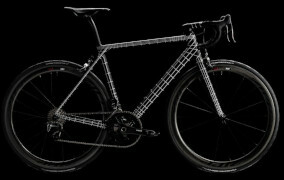 It is available from the official KlingKlang Konsum Produkt site. It is an official Kling Klang *Produkt*, a photo book by Peter Boettcher. 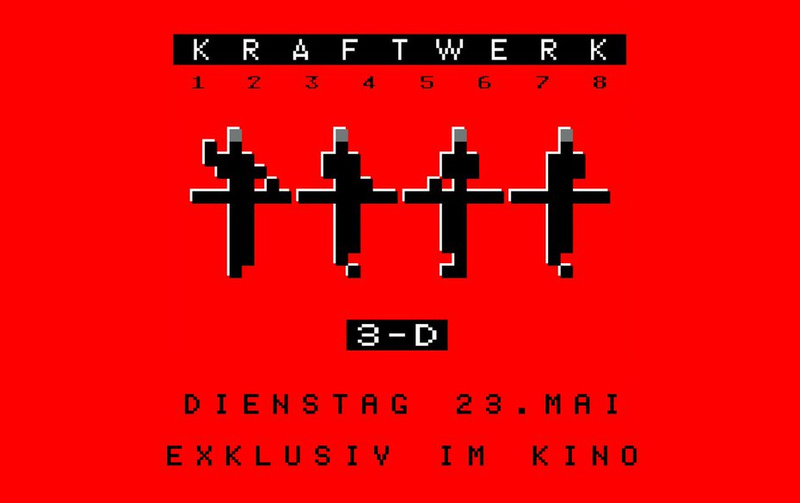 Released in January of 2013 to celebrate the event 'Der Katalog Retrospektive 12345678' concert series, followed by an exhibition in Düsseldorf. 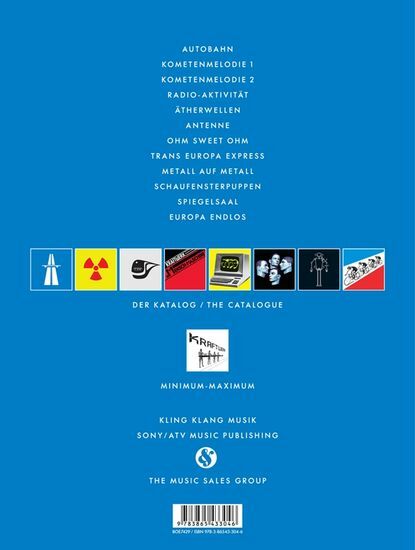 This book documents 45 Kraftwerk singles (only the pictures of the front of the sleeves) from The Mott Collection, and includes an essay by collector Toby Mott and an exclusive 7” single of a rare Kraftwerk interview from 2009 (ZDF Heute, 26 April 2009). The American science and technology television programme Newton's Apple used to use Kraftwerk's Ruckzuck as its theme music. 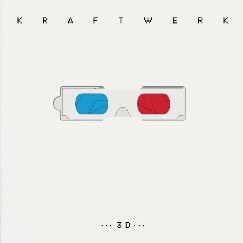 This was eventually replaced with a cover version, and then replaced altogether with theme music unconnected with Kraftwerk. In episode 3F19 (The Curse of the Flying Hellfish) of the USA television series The Simpsons, a German baron declares that he "must get back to Dancecentrum in Stuttgart in time to see Kraftwerk". There's also an episode called Burns Verkaufen der Kraftwerk, but this (mistranslated) title refers to the German word for "power plant", not to the band. From June 1999, controversy surrounded Kraftwerk's jingle for the EXPO 2000 world exposition. The mass media, politicians (including the German Federal Chancellor, Gerhard Schroeder) and indeed many (though far from all) Kraftwerk fans were very critical of the jingle, for which the band was said to have been paid around 400,000 Deutschmarks. The jingle is only three seconds long and consists of a vocoded voice singing "Expo 2000". Kraftwerk provided the jingle in six languages. EXPO manager Birgit Breuel defended the jingle, calling it a "courageous artistic production" (source: Hamburger Morgenpost). On 6th December 1999, Kraftwerk released a new song, Expo 2000 as a single; this incorporated the jingle and other phrases used in Expo 2000 publicity. The German release of the album, Radioaktivität was supplied with a sheet of 16 self-adhesive stickers from the album's release in 1975 until the early 1980s. These stickers depicted the international standard "radioactivity" symbol. The first USA issue of the Radioactivity LP was also supplied with a sheet of 16 stickers, of almost identical design to the German release. These were not self-adhesive however, but had to be moistened, like postage stamps. Subsequent USA reissues did not include the stickers. The American comedy television show Saturday Night Live features a sketch called Sprockets, which the very German presenter Dieter (played by Mike Meyers) ends by declaring "And now is the time we dance!". The music to which he dances is a speeded-up version of Kraftwerk's song Electric Cafe. Yes. It contains reference to a fictional German pop group called Autobahn, who are said to have released one album, called Nagelbett ("Bed of Nails"), in the late 1970s. The cover of this LP clearly parodies the cover of the Kraftwerk album The Man-Machine. According to one character, "Their music is a sort of - uhh - technopop". 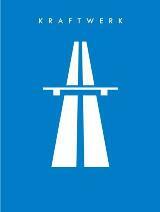 For some reason a rumour has spread that the red-shirted nihilists who constitute Autobahn are played by members of the band The Chemical Brothers. This is without foundation, although one of them is played by Flea, of the band Red Hot Chilli Peppers. Yes, for example in Radio On, Moerderische Entscheidung, Berlin Alexanderplatz, Chinese Roulette and Breakdance. All of these used well-known Kraftwerk songs, and did not feature any new music by the band. 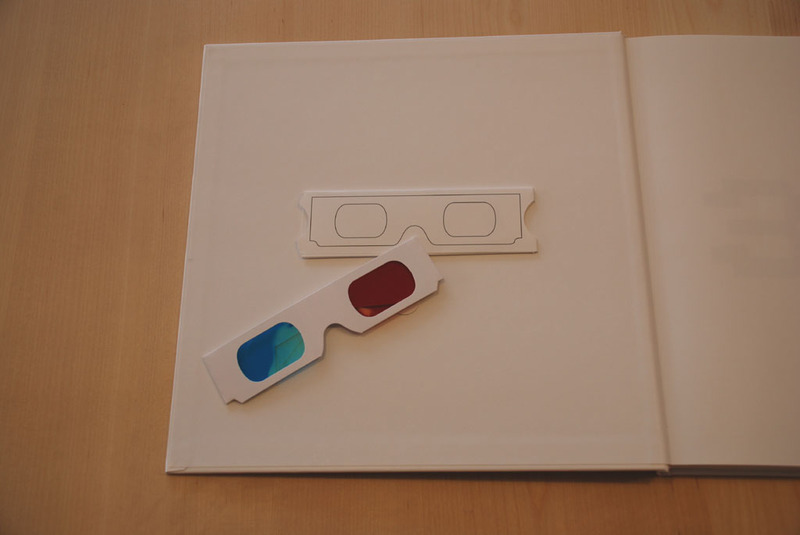 Only the 77-minute version of the '3-D Der Katalog' was shown. as a part of the Film Festival Cologne 2018. This album was digitally remastered in 2009 under the name Techno Pop, with the same art-work. 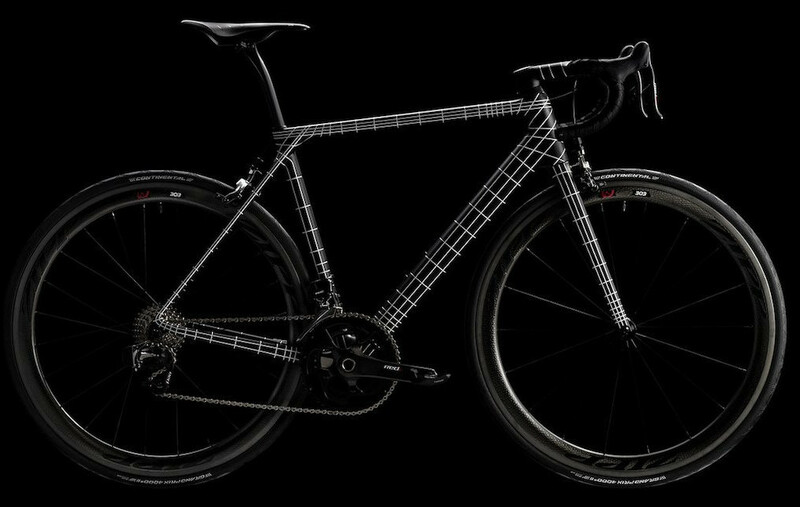 "...a bike like no other..."
Ultimate CF SLX Kraftwerk is a special, limited edition (21pcs), handmade road-bike by the manufacturer Canyon. "This extremely limited run of 21 technically-accomplished machines pays homage to Kraftwerk’s iconic aesthetic and harks to the pioneering sounds they produced, music that has paved the way for so many others to follow." See more at the manufacturer's website. Yes, Alexander Gerts german astronaut on 20 July 2018, in Stuttgart, played live with Kraftwerk from the International Space Station (ISS, Columbus Laboratory). At first he played the melody part of filmmusic 'Close encounters of the third kind'. "I am one of only six people in space, on the outpost of humanity, the International Space Station ISS, 400 kilometers above sea level. The ISS is a Man Machine - the most complex and valuable machine humankind has ever built." "Here in the European Columbus laboratory, the successor to the Spacelab, the European Space Agency ESA is researching things that will improve daily life on Earth. More than 100 different nations work together peacefully here and achieve things that a single nation could never achieve. We are developing technologies on board the ISS to grow beyond our current horizons and prepare to take further steps into space, to the Moon and Mars." And after his speech he played the melody part of 'Spacelab' together with Ralf Hütter. 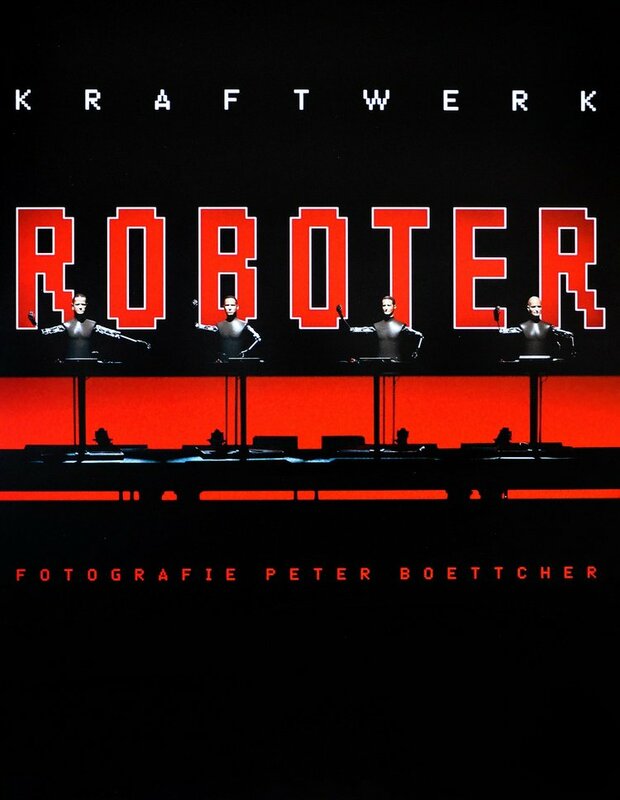 "The project was the brainchild of ESA and Kraftwerk’s Henning Schmitz, part of a personal relationship between the band and the agency, with Kraftwerk providing a whole lot of the technical support to make it happen."